I read this article and wanted to share it with you: Why Sonlight Fits Both International and U.S. Families https://blog.sonlight.com/why-sonlight-fits-international-families-and-therefore-u-s-families-too.html. At a missions conference one time, we asked a roomful of 100 overseas missionaries to stand up if they homeschooled their children. Many did. After they were seated, we then asked them to stand up if they used Sonlight. A large percentage of the homeschoolers stood. That gave me such joy. You see, we deliberately created Sonlight to serve missionaries just like them. 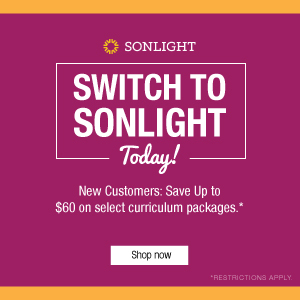 Some say Sonlight is the obvious choice for Americans living overseas. Back in 1990, the second highest reason for missionaries returning home was that they couldn't find good educational options for their children. So a friend challenged me: could I "package up" the revolutionary type of homeschool I was loving with my family, and send it to missionaries? Could we let missionaries keep their young kids at home instead of sending them to boarding school? I thought it was worth a try. If we could just keep missionaries on the field for one more year ... I'd count that as a win. 1. 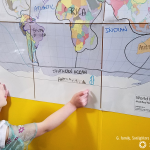 I want children to learn about the entire world, not just the U.S. I think we live in a wonderful country. I want our children to know their heritage here. But I also want them to know that God cares about the whole world. Over 95% of the world's people live outside the U.S., and our nation has only existed for a small percentage of recorded history. 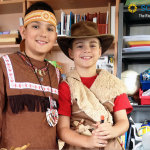 We want our children to be prepared to live in our globalized world. 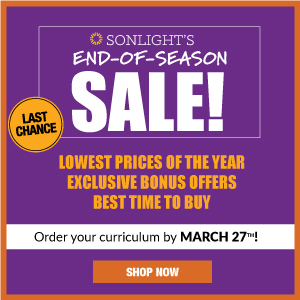 And so Sonlight spends much more time on World history and cultures than most other homeschool programs do. Curious? 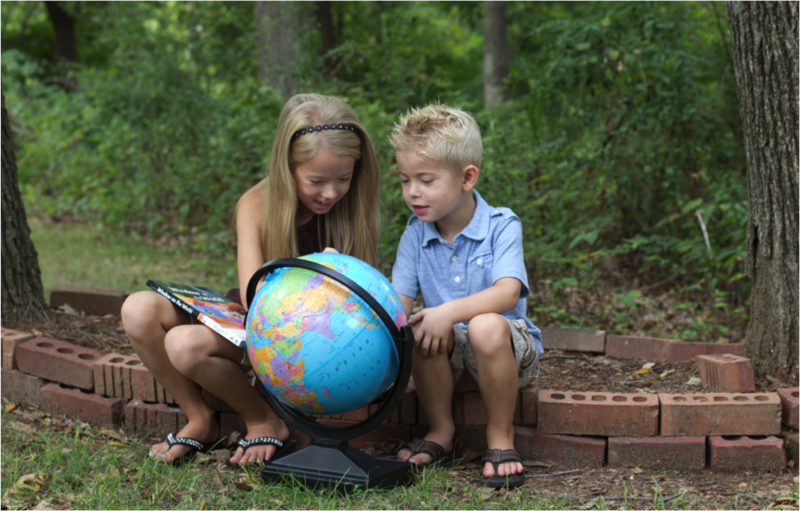 Read more about Why We Study the Western and Eastern Hemispheres. I not only want our children to know about the rest of the world; I want them to see people in the rest of the world as God sees them. They are real people, with real needs, joys, families, jobs and dreams. Even if they look different or believe different things, God loves them greatly and desires for them to know Him through Jesus Christ. I want children to consider that God can use them to help bring His Kingdom of love and truth to the whole world. When you are homeschooling in a remote corner of the world, you can't just drive down the street to Home Depot to pick up two screws, three washers and a magnet for your science experiment that day. You can't go to the library and find quality children's books in English. You need to have your supplies ready to go at home. I believe the same is true for families in the States. While you could track down all your supplies, I don't think you need that added stress in your life. You don't need the worry of always having to find quality books to read, or hunting down odds and ends for science experiments. Living abroad often means that the logistics of daily life are just harder. 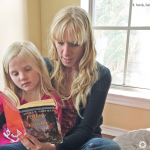 Homeschool moms overseas don't have time to create their own curriculum. But it's no surprise that moms here in the States don't usually have time either! Here's the thing. You don't need to create your own lesson plans from scratch because we've done all that work for you. Instead, you can just open your Instructor's Guide to see what's scheduled for that day and find all the teaching helps you need. I love to serve you in this way by setting you up for success and giving you what you need. You have enough on your plate already. Studies show that the number of books in a home has a higher correlation with children's academic success than does the parents' education or occupation. 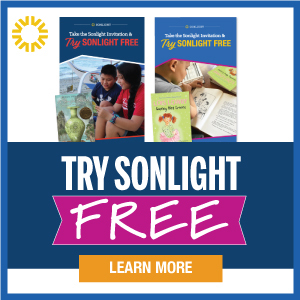 Sonlight Cores create a fantastic home library that your kids will use again and again. Surround your children with good books, and good things happen. These same books serve as entertainment for hours on end. Whether you live in a yurt in Mongolia, or in the suburbs of Chicago, lining your shelves with quality children's books is a worthy long-term investment. If you live overseas or know families overseas who are wondering what to do for their children's education, I wrote an article a few years ago that might help. 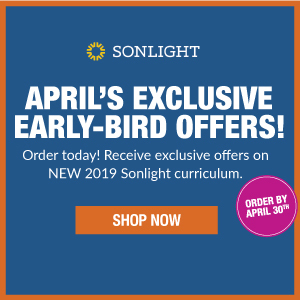 It's full of tips and experiences from international Sonlight moms: Homeschooling Overseas: Is it Right For You? I am so grateful to serve families all over the world, from Texas to Timbuktu. What a blessing to share the joys of learning with you!